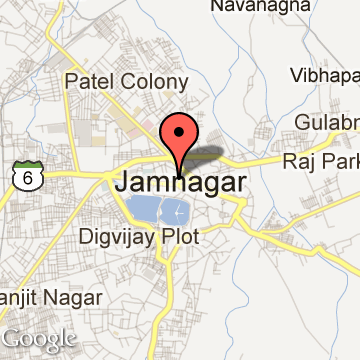 Jamnagar was founded by Jam Rava Jadeja in 1540 A.D. as the capital of the Princely State of Nawanagar. Jamnagar, historically known as Nawanagar (the new town), was one of the most important princely states of the JADEJA's in the region of Saurashtra. According to Pauranik literature, Lord Krishna established his kingdom at Dwarka town in Jamnagar district, after migrating from Mathura and accordingly, it is to the Yadava race that the Jams of Nawanagar trace their ancestry. According to bardic chronicles, impressed by Jam Lakhaji's role in at the siege of Pawagadh, Bahadurshah, the Emperor of Gujarat, bestowed 12 villages on him. As Jam Lakaji was going to take possession of his new fief, he was treacherously killed by his cousins, Tamachi Deda and Hamirji Jadeja. Jam Lakhajis son Jam Rawal escaped and on growing up, took vengeance of his father's murder in the same manner by killing Hamirji Jadeja. Hamirji's two sons Khengarji and Sahibji fled to Delhi to pay obeisance to the mughal Emperor Humayun. During a lion hunt, the two brothers saved the Emperor from being killed by the lion. As a reward for their valour, an army was sent with them to regain their kingdom. When Jam Rawal heard of the two princes coming back to the Kutch with the imperial army, he started getting ready for the battle. On one night, he dreamt of the goddess Ashapura who told him that as he had broken an oath taken on her name about not killing Hamirji, even though, he was the person responsible for the death of his father. She had refrained from punishing him as he had at all other times honored her, but he was no longer to dwell in Kutch but cross the sea and reside in Kathiawar instead. Jam Rawal and his entourage marched out of Kutch, attacked and killed King Tamachi the other conspirator in the killing of his father, and conquered the town of Dhrol and its dependencies. Jam Rawal bestowed the rule of Dhrol province to his brother Hardholji, who was later killed in battle, and the throne passed to his eldest son, Jasoji. Jam Rawal conquered parts of Saurashtra and formed his kingdom. Once on a hunting trip on the land of present day Jamnagar, a hare was found to be brave enough to turn on the hunting dogs and putting them to flight. Deeply impressed by this, Jam Rawal thought that if this land can breed such hares, the men born here would be superior than other men, and accordingly made this place his capital. On the 7th day of the bright half of the month of Srawan, VS 1956 (August 1540 AD) on the banks of two rivers Rangmati and Nagmati, he lay the foundation of his new capital and named it Nawanagar (new town). Nawanagar eventually came to be known as Jamnagar meaning the town of the Jams. Jamnagar Tourism - Get all information on Jamnagar tourist places and sightseeing tours. Our website helps you plan your next tour and gives you great ideas on what to do, where to eat, where to stay and when to go there. We give the best information from the web to give you precise, meaningful and useful travel guide for leading places to visit in India and from across the world. Our travel information on Oil City of India tourist places, tourist attractions, major sightseeing, the best time to visit, the top places to visit in Jamnagar, the must-see things to see and do, maps, restaurants, hotels, nearby tourist destinations, local public information and more. 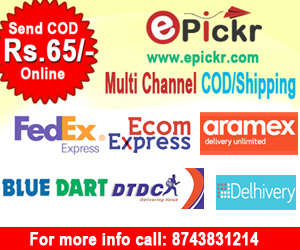 To start with check out information on how to reach Jamnagar.